This portrait of Liszt was made at the same time when he met Clara Wieck personally for the first time in Vienna, where she successfully gave a concert. 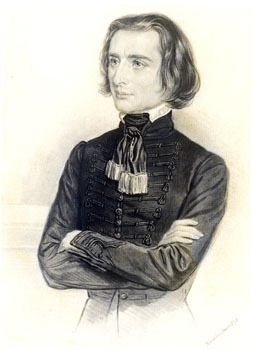 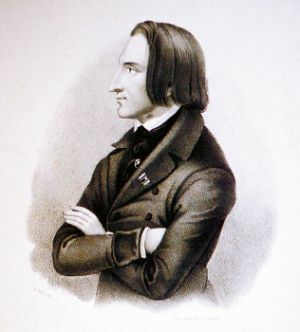 Robert Schumann, who since 1834 sought contact to the piano virtuoso Liszt, but didn’t think much of him as a composer, was highly admired by Franz Liszt. 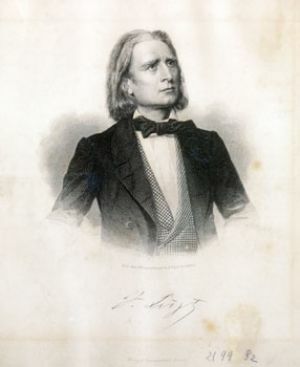 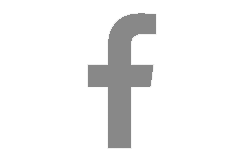 Liszt's detailed review of Schumann’s piano works in the "Gazette musicale" from 12 November1837 was submitted by Schumann in court at the process against Friedrich Wieck, to clarify his position as a renowned composer. More about the relationship between Robert and Clara Schumann to Franz Liszt: Wolfgang Seibold, Robert und Clara Schumann in ihren Beziehungen zu Franz Liszt, Teil II, in: Correspondenz 30, edited by Irmgard Knechtges-Obrecht, Düsseldorf 2007, p 6 ff.